Looking for a way to copy all your Line chat messages on computer for backup? Want to transfer iPhone Line chat history to a new iPhone? Backuptrans iPhone Line Transfer must be the best choice for you. It helps you transfer and manage your Line chat history on computer smoothly. Transferring Line chat messages between different iPhones is also supported. No Jailbreak required. Want to backup Line chat messages from iPhone onto computer? 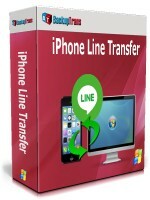 Looking for an easy way to transfer Line chat history to your new iPhone from an old iPhone? Accidentally deleted Line chat messages, photos, videos or other attachments and want to recover them? Backuptrans iPhone Line Transfer must be the best software for managing Line chat messages directly on computer. 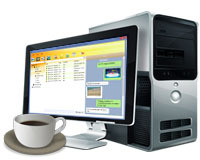 It provides all needed solutions, including backup Line chat messages from iPhone to computer, restore Line chat messages to iPhone, extract Line messages attachments, recover lost Line data from iTunes Backup, and print Line messages on computer. Backup and Restore iPhone Line chat messages on computer - Beside iTunes, Backuptrans iPhone Line Transfer provides a convenient way to backup and restore your iPhone Line messages on computer. You can save Line messages in a readable database on your computer in one simple click. Restoring Line chat history back to your iPhone is also easy and safe. No data loss worry. Directly Transfer Line chat history between iPhones - Backuptrans iPhone Line Transfer is designed to transfer Line chat history from one iPhone to another directly on computer. All Line chat messages and attachments will be merged perfectly on new iPhone. Recover Line Messages from iTunes Backup - Accidentally deleted Line texts, videos, photos or audio files on iPhone? As long as you once backed up your iPhone with your iTunes on computer, Backuptrans iPhone Line Transfer will recover Line data from your iTunes backup back to your iPhone smoothly. Extract Attachments from Line chats onto computer - If you want to extract the attached files in Line messages, simply click "Extract Attachment" button on Backuptrans iPhone Line Transfer, and it will automatically extract all pictures, videos, audios attachments onto computer. More - Backuptrans iPhone Line Transfer even lets you export Line messages to a document file such as TXT, CSV, Word, HTML or PDF. Printing Line messages in conversations is also supported. More than 3,000s of satisfied users. Easy to use software and no technical knowledge required. Use innovative synchronization algorithms to help iPhone users easily copy Line messages including attachments from iPhone to computer. Even iPhone with a broken screen supported also. 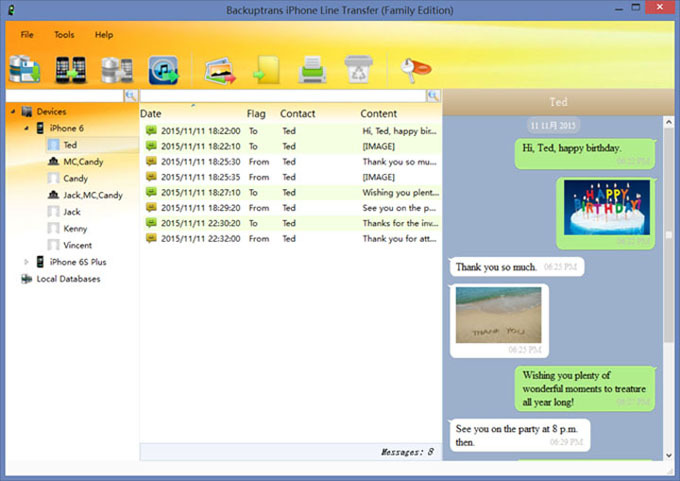 With its powerful feature, Backuptrans iPhone Line Transfer can also restore Line chat history from backup file on computer to iPhone, either a new iPhone or old iPhone. Restoring Line messages attachments to iPhone is also supported. Get a new iPhone and want your Line chat history to be transferred from one iPhone to another? Backuptrans Line WhatsApp Transfer lets you transfer Line messages with attachments between iPhones directly on computer. All these Line chat messages will be merged perfectly on new iPhone. No Jailbreak required. What if accidentally deleting Line chats on iPhone but wanting to recover them? If you synced your iPhone on your iTunes from time to time, this is good news. You can use Backuptrans iPhone Line Transfer to recover Line messages from your iTunes backup back to your iPhone without losing any chat record. Fast transfer speed and five common file types supported, including txt, csv, doc, html and pdf. You can choose one according to your needs. Additionally, you can also choose to transfer & export all Line chats messages or just export the messages with a certain contact. Backuptrans iPhone Line Transfer does a perfect job in extracting iPhone Line chats attached files. Simply click one button on the software and it will automatically extract pictures, videos, audios files etc in Line messages onto computer. Perfectly print out your iPhone Line chat messages in threading mode. Reading the printing output feels like the same as that on your iPhone. Again, you can also choose to print out all Line messages out or just print the chats with a certain contact. Backuptrans iPhone Line Transfer works perfectly for all iPhone 7 Plus, iPhone 7, iPhone 6S Plus, iPhone 6S, iPhone 6 Plus, iPhone 6, iPhone 5S, iPhone 5C, iPhone 5, iPhone 4S, iPhone 4, iPhone 3GS, iPad, iPad 2, new iPad, iPad Mini, iPad 4, iPad Air, iPod Touch 4 and iPod Touch 5. Processor - 1000MHz Intel, AMD CPU or above. A specially priced, benefit-rich bundle created for business professionals. It is an one-year license that lets you download and install on all your company's windows computers and manage Line messages for unlimited devices for the price of one.